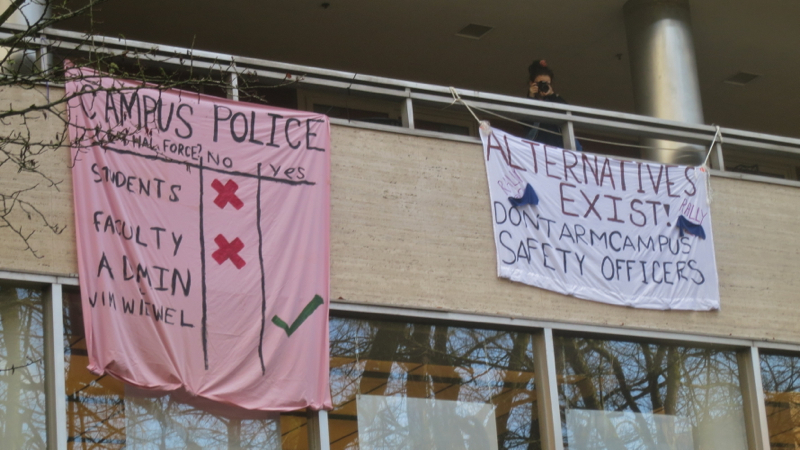 Earlier today at a packed hearing at the University Place Hotel, the fledgling Portland State University board of trustees voted to authorize weaponizing its existing campus security force. 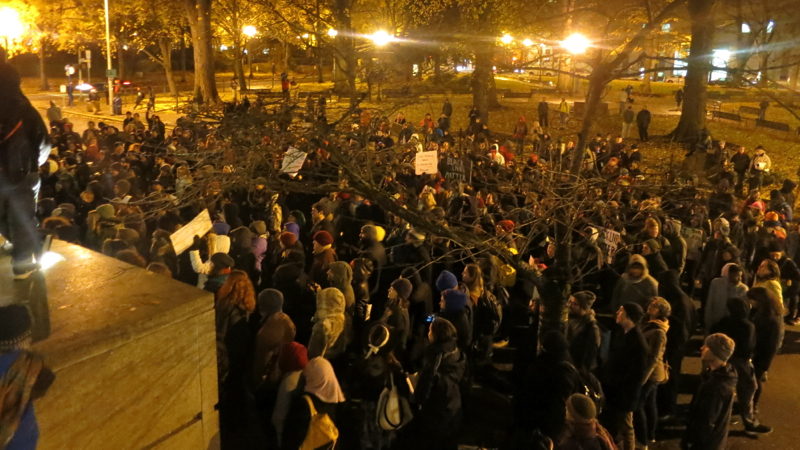 This action was taken despite almost universal student and faculty opposition. 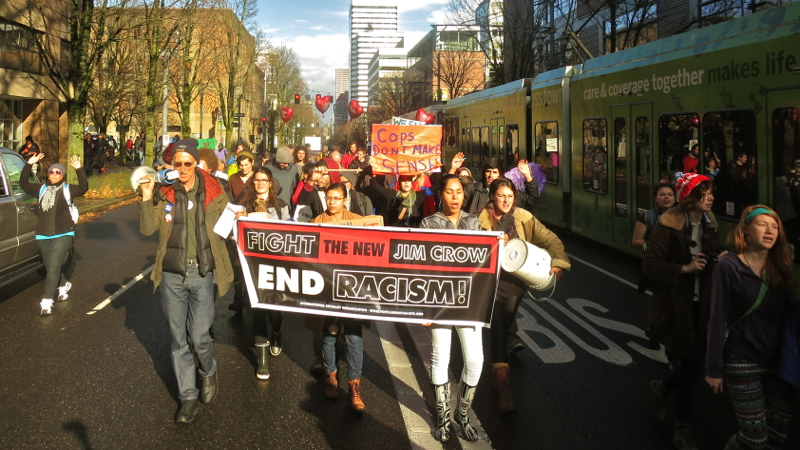 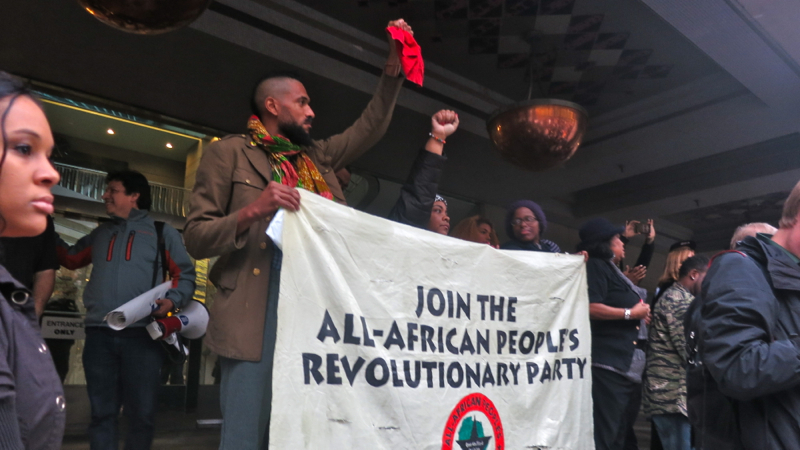 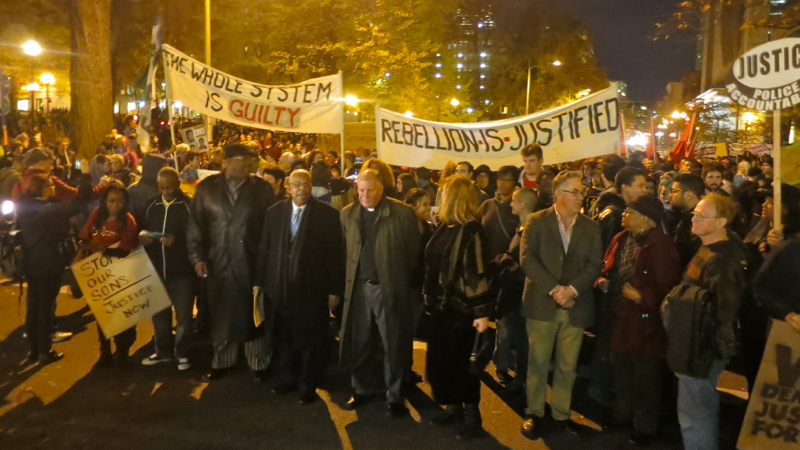 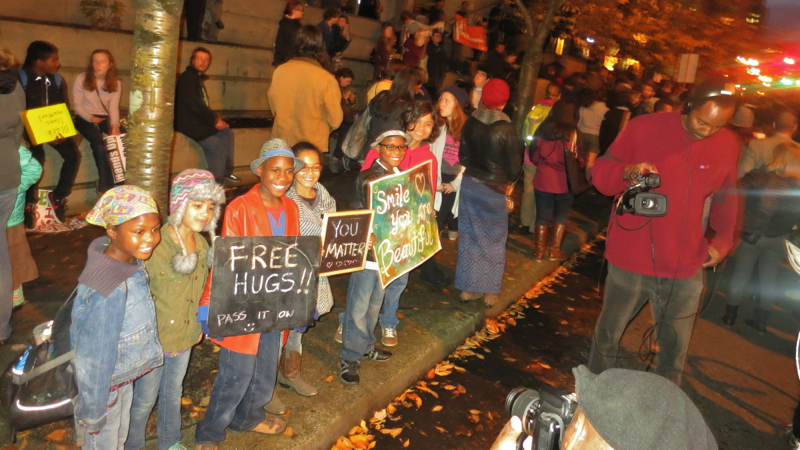 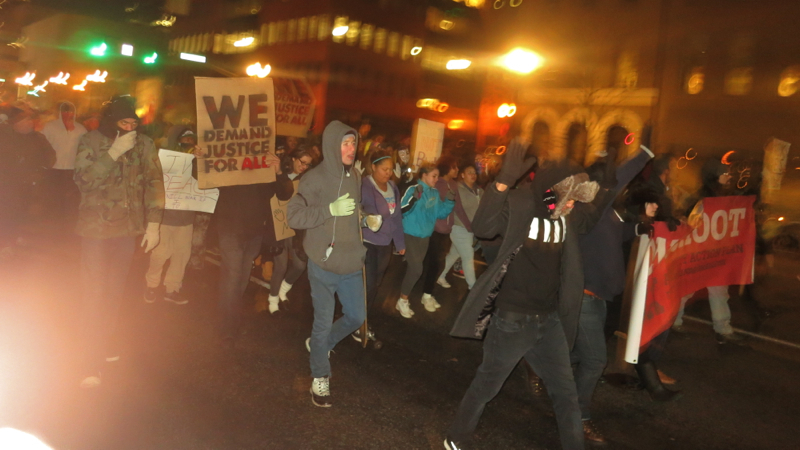 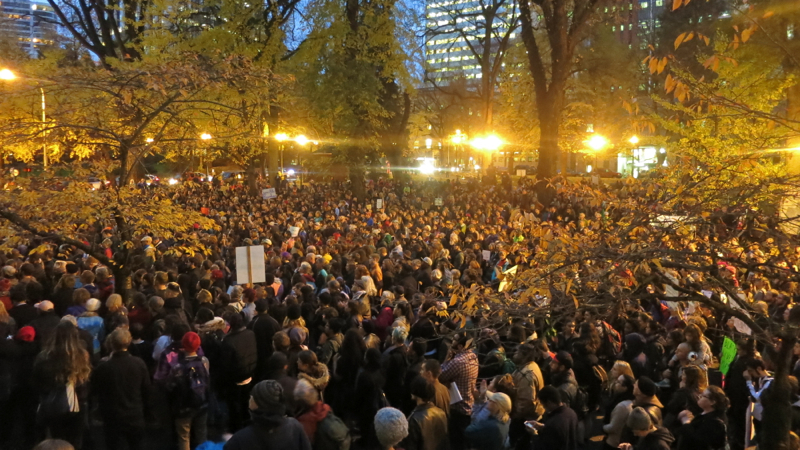 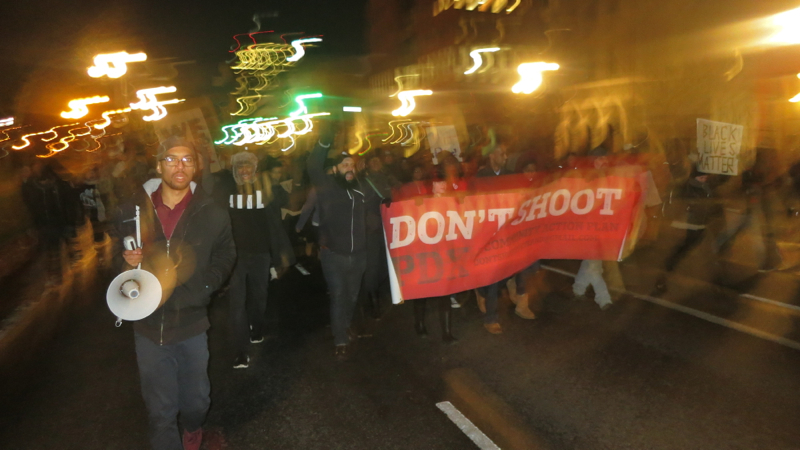 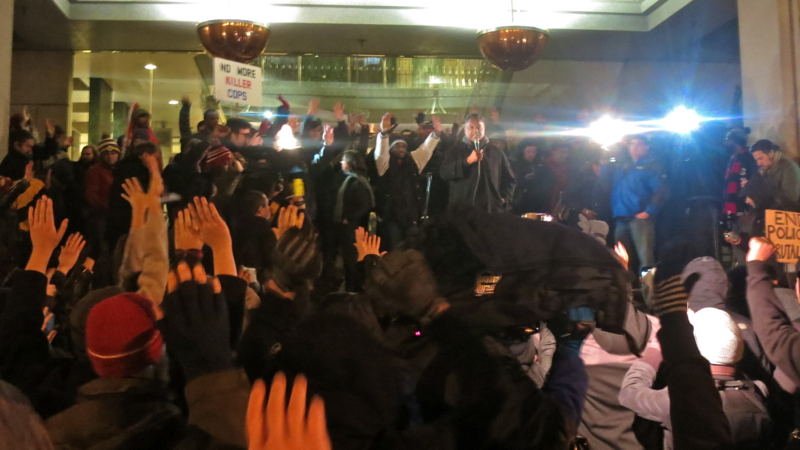 Prior to the hearing, a short rally and march from the Park Blocks to the hotel took place. 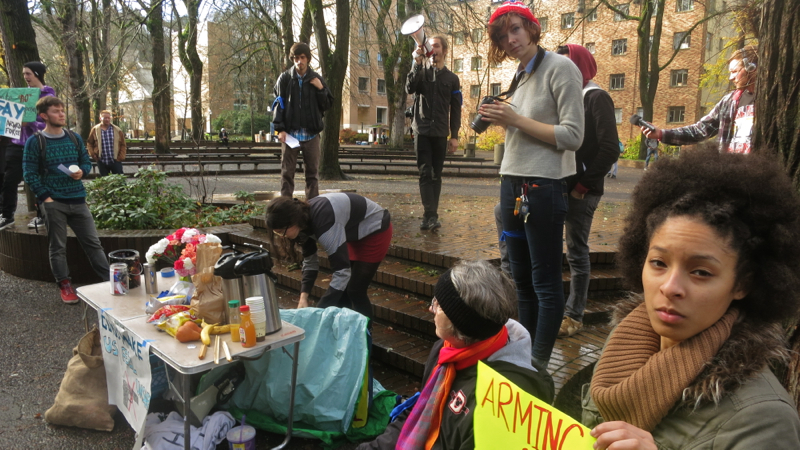 One speaker highlighted the national trend of increasing militarization, “PSU says it only wants to arm two officers for now, but what about tomorrow? 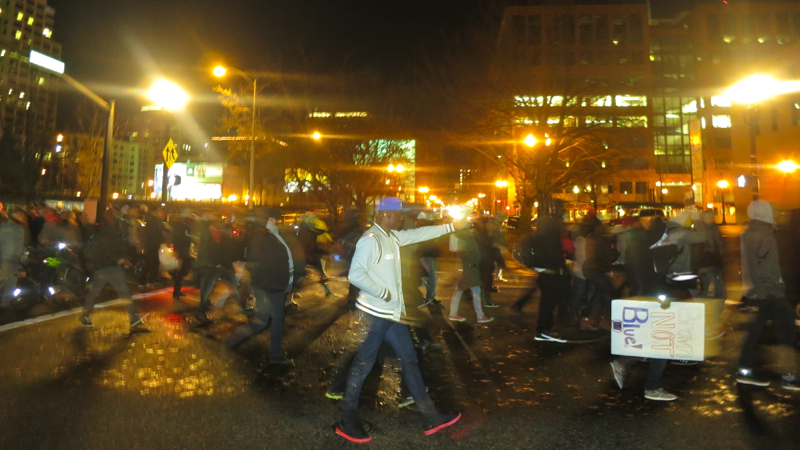 When will they decide to approve armored vehicles on campus?” The crowd applauded their concurrence.